When Quadris was introduced for managing foliar diseases of potatoes in 1998, growers’ ability to control early blight increased dramatically. Other strobilurin products have followed. 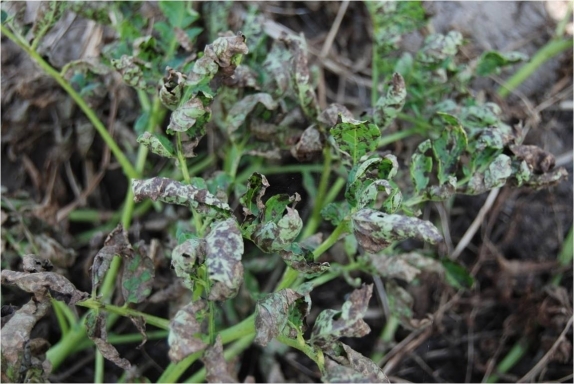 Recently fungicide resistance has been observed for isolates of the early blight fungus. What does this mean for using strobilurin fungicides in the field? The attachment below is a research report from 2010 sponsored by the Idaho Potato Commission with support from private industry. Different strobilurin fungicides were applied alone and evaluated for their effect on disease control, yield, and grade. Not all strobilurin fungicides performed the same. Read the report below to learn more.